When Margravine Wilhelmine died in 1758, the future of the Bayreuth margraviate was very uncertain. Since the marriage had produced no heir, there was a danger that Bayreuth as a Hohenzollern principality would fall to Prussia. By 1759 Margrave Friedrich had therefore already taken a second wife, Princess Sophie Caroline von Braunschweig Wolfenbüttel, who was 28 years younger than him. 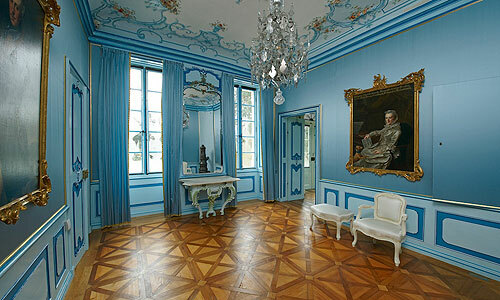 Since the private rooms in the ladies’ wing of the Residence were lacking in modern conveniences and comforts, Friedrich had the little Italian Palace built for his new wife south of the New Palace. 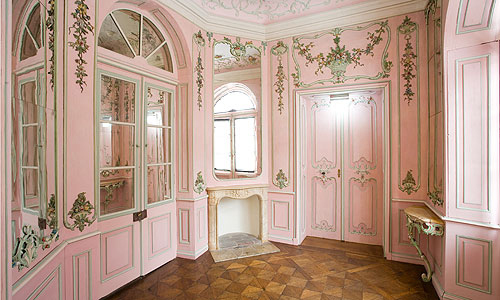 On the ground floor is an apartment sumptuously furnished in the latest fashion. In the centre of the building is the Garden Hall, through which the building was originally entered. 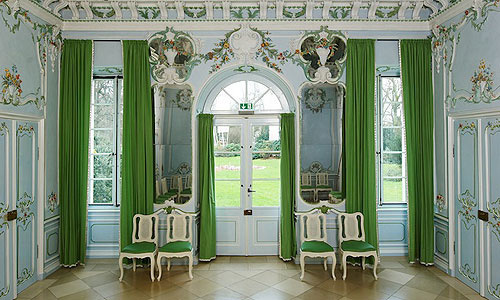 To the north is the enfilade of private rooms, to the south the sequence of representative state rooms. 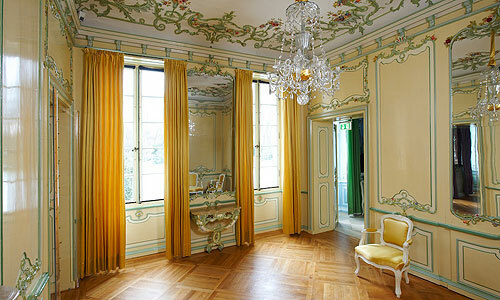 After only a few years the little palace was joined on to the New Palace, so that it was now entered via the private suite. 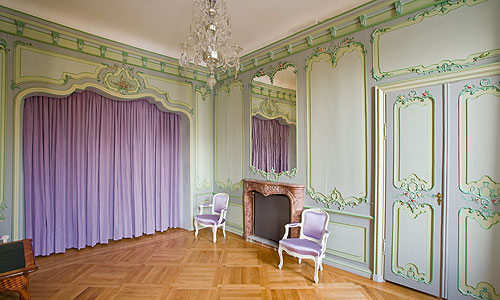 Here the wall panelling of all the rooms is painted in delicate pastel tones and decorated with finely carved flowers. 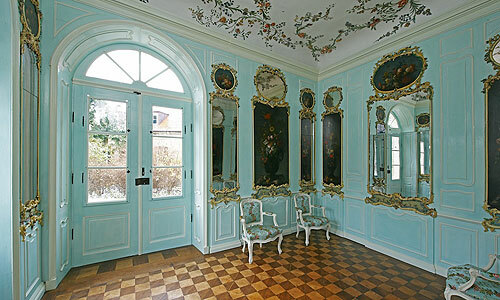 In addition to the coloured stucco-work flowers, the Garden Hall is full of delightful details such as the hovering putti and the deceptively realistic textile hangings beneath the window seats.